Frederick Norton Goddard was not like his peers in the glittering, gilded social circles of New York in the 1890s. When Goddard’s father, J. W. Goddard died he left an estate of approximately $12 million to be divided between his two sons. F. Norton Goddard found himself less interested in Madison Avenue gentlemen’s clubs and chandelier-lit ballrooms than in the condition of the impoverished working class . 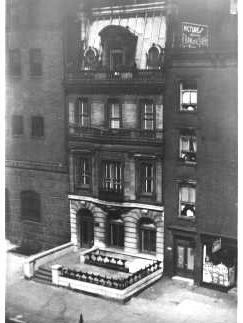 Shortly after his father’s death, he left his mansion with one old and trusted servant “in search of men nearer to nature than his former friends.” Goddard rented a floor in a tenement building at 327 E. 33rd Street and took up the life of a working man. Later he would admit that he did so not with any particular idea of doing good or helping other men. His desire was “to escape a life that had become irksome.” It was a decision that would change his life and that of thousands of New Yorkers. In 1895 Goddard ran into a group of blue collar workers – a bricklayer, a plasterer, a ferryboat worker, for instance – who had decided they could improve their lots by improving the conditions of others. He asked to join their “club” and before long was its leading force. 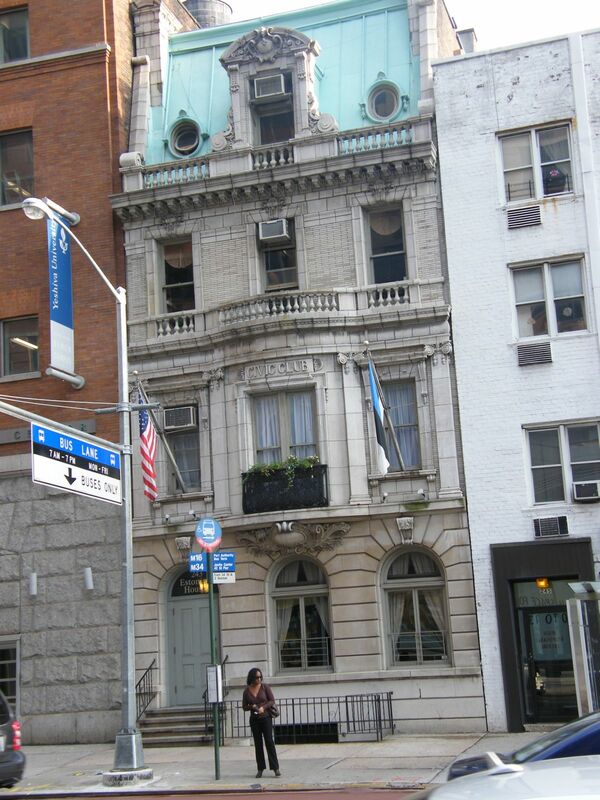 The Civic Club, as it came to be known, started out rendering personal service and financial aid to anyone needing it within the district between 23rd and 42nd Streets from Park Avenue to the East River. Before long he had convinced other wealthy businessmen like P. Tecumseh Sherman and John H. Hammond to contribute to the causes of The Civic Club, including bad sanitary conditions, bad plumbing, dangerous sidewalks, policy swindles (a numbers-type gambling racket that preyed on the poor) and other problems. 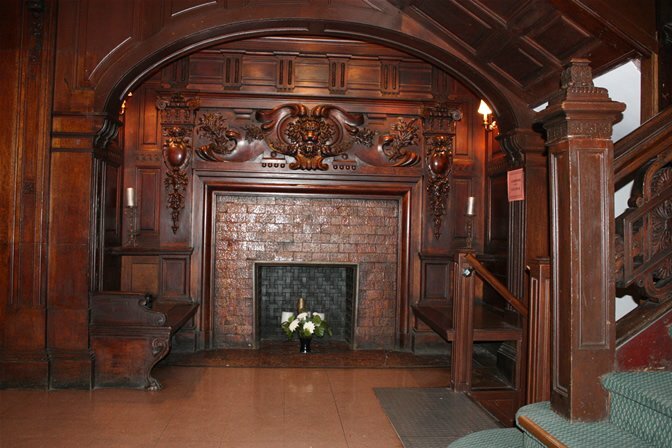 In 1898 he commissioned Brooklyn architect Thomas A. Gray to design a permanent clubhouse at 243 E. 34th Street. A year later the Civic Club was completed, paid for in full by F. Norton Goddard. Ironically, the French Beaux Arts building was similar to the grand limestone mansions Goddard had fled. The rusticated first floor with two arched windows and a matching arched doorway supports the second floor with a bowed central window with French doors and wrought iron balcony. The third story is gray brick, above which a handsome stone balustrade protects a steep mansard roof with a dormer. In 1898, the same year the building was completed, Goddard married Alice S. Winthrop and, necessarily, moved to a more substantial home at 273 Lexington Avenue. The Civic Club and his political activities with the Republican Party, however, never faltered. By 1900 the number of participants had doubled to 14,000 women and children. Brass bands played on the barges that transported the throngs to the picnic grounds at Grand View Grove. “Capt. Goddard did not give any cake this year, because too many boys used it for missiles on his former excursions; but there were 7,000 quarts of the very best milk that the market affords and 2,500 quarts of ice cream in bricks wrapped in paper, and everyone on board had coupons calling for a fair share of both,” said The Times. On that excursion, one man foolishly ignored Goddard’s passionate hatred for gambling and set up a wheel of fortune at the picnic grounds. When a New York policeman accompanying the trip ordered the man to pack up his wheel, the cop was firmly informed that he had no jurisdiction this far from the City. The New York Times reported on the reaction of a small child who saw the consequences of that comment. Although Goddard may not have approved of such physical contact, his campaign against street gambling, especially “policy shops” was perhaps his greatest obsession. By 1901 the Civic Club had a defined organization. The Committee on Streets worked to keep the streets in “fair condition;” the Committee on Buildings sought to make dilapidated tenements safe or have them demolished; the Sanitary Committee pressured the Health Department to maintain the condition of tenements; the Policy Committee worked non-stop to suppress that gambling racket; and the Committee on Eviction and Destitution gave financial help to families in danger of being broken apart “and the children sent to institutions, the mother to scrubbing, and the father to a lodging house.” Mainly, however, the thrust was to teach the poor to help themselves. On May 27, 1905 F. Norton Goddard died suddenly of a brain hemorrhage at 44 years old. The man who had made the needs of others the focus of his life and fortune was suddenly gone. Thousands marched to his simple funeral at All Souls’ Unitarian Church at 4th Avenue and 20th Street. At his request there was no eulogy. Among the mountain of floral tributes was “a huge sheaf of lilies sent by President Roosevelt,” according to The New York Times. By the end of the year the Civic Club ceased to exist. 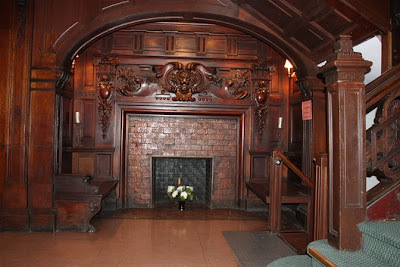 The handsome club building stayed in the family however, until Alice Winthrop Goddard’s death in 1946. 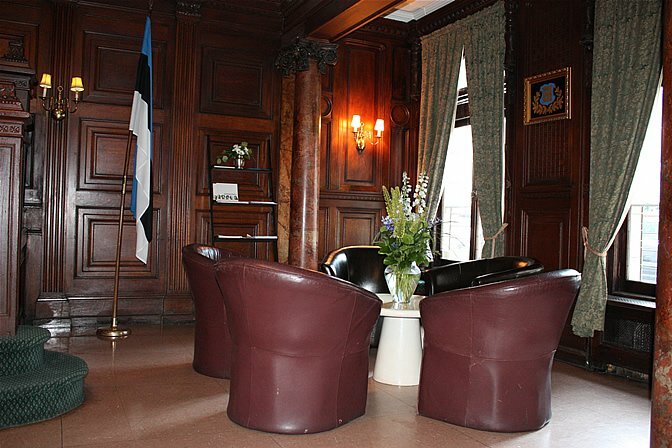 Her estate sold the building to The New York Estonian Educational Society, Inc. for $25,000. The Society still has their headquarters there. In 1992 the Society, which was founded to unify Estonians in New York, initiated a $100,000 restoration including brickwork, decorated stonework, replacement of deteriorated balustrade elements and the painting of the mansard to replicate a green copper patina. Goddard’s beautiful French clubhouse sits little-changed since 1899. It was designated a New York City Landmark in 1978. This is very thorough research -- fascinating. The title speaks so much about this house..."Unselfish Wealth". My husband and his mother frequented this building after arriving in New York. We still have one of the original Estonian flags given to us by the manager.